AlayaCare today announced that its home and community care clients can now apply interRAI assessments to patient care plans. The assessments allow care providers to better track the health of elderly patients, and agencies can use the assessment data to better plan and coordinate their care services. “This latest feature is another step toward individualized client care, as agencies can use a person-centred assessment system that helps direct comprehensive care and service planning in community-based settings,” said Neil Grunberg, VP, Product and AlayaCare Co-Founder. The International Resident Assessment Instrument for Long Term Care Facilities – a.k.a. 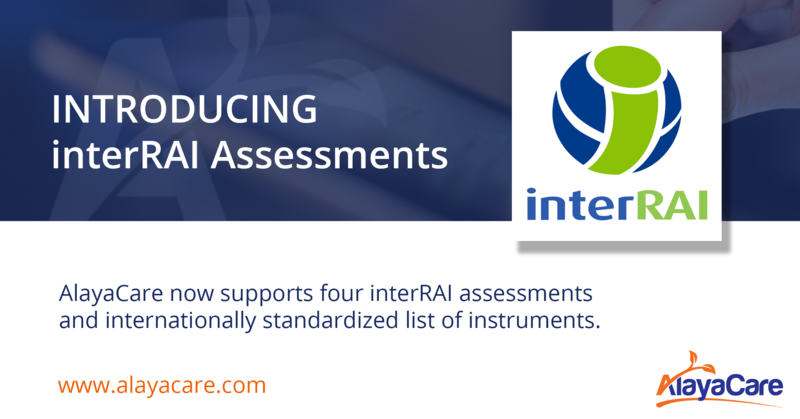 interRAI – is a widely adopted system that standardizes the approach and language used by health-care providers across hospital, home and community settings. The AlayaCare platform currently supports Community Health, Home Care, Preliminary Screener, and Contact Assessments within interRAI. These are used to support care planning and delivery, and aggregated data can be leveraged to measure and improve each patient’s quality of care. The items included in the assessments have identical definitions, observation time frames, and scoring. As the assessments standardize the information collected and how it is described, care providers can better track the health of patients, even as they move between home and hospital care. Launching interRAI assessments is another way that AlayaCare’s flexible technology permits home and community care agencies to improve efficiency and adapt any tools to bolster the delivery of care.